In line with our mission of nourishing Nigerians, FrieslandCampina WAMCO began 2016 with a nutrition engagement programme for public schools adopted by the company. The idea is to support pupils to understand the importance of good nutrition in building a stronger body and sharper mind. 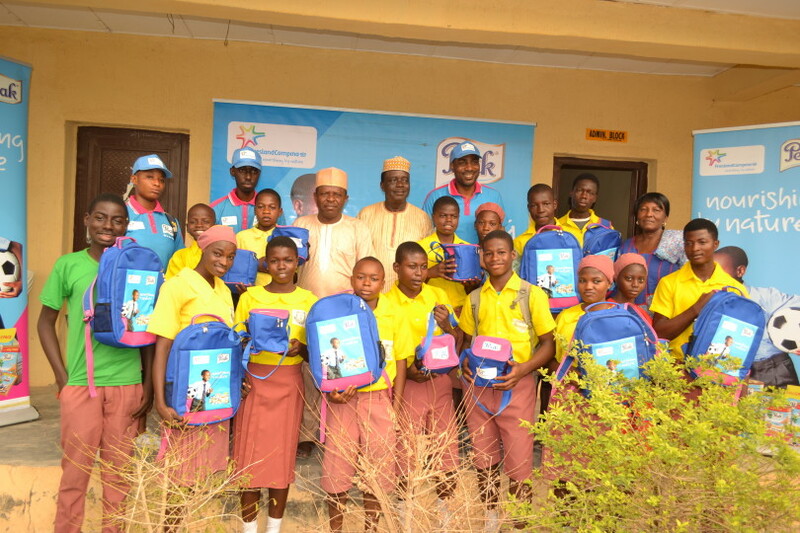 Themed “Nourishing by Nature”, the School Adoption Programme was a two pronged engagement involving the provision of learning materials for the adopted schools while carrying out a nutrition talk in the schools to highlight the importance of milk as an adequate source of nutrition for stronger bodies and sharper minds. This programme was delivered across Nigeria by our employees who took pride in driving the company’s CSR. The infusion of nutrition talk and dance into our school engagement served as a bonding opportunity with pupils while exemplifying our slogan – Drink, Move, Be Strong, a concept based on our believe that improving the quality of education across the country requires an all-around approach that is focused not only on school development, but ensuring that pupils are healthy and sharp and remain that way until adulthood. The school adoption programme cares for 18 public schools across all geo-political regions, with an estimated reach of 26,000 school children.